A year ago I was able to have a hands-on with Gran Turismo Sport at EGX 2016. My impressions of the game weren’t exactly positive. 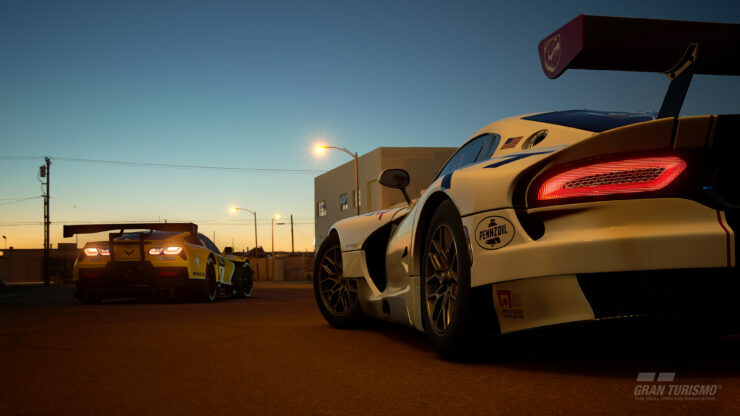 It only made sense for me to spend at least some time in EGX 2017 playing Gran Turismo Sport. The major question is “has the game improved over the year?” The short answer is yes, but that does come with some caveats. My major criticism of the game last year is one that still prevails now. That is content. 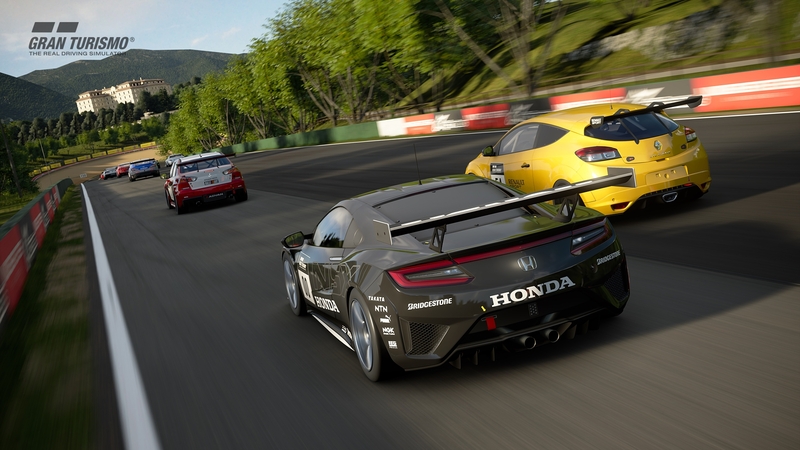 Gran Turismo Sport will have just over 150 cars on 17 tracks with 28 layouts. Considering the opposition that GT faces, it’s a fairly large detractor. Forza 7, expect my review soon, features a more accessible and relaxed style with considerably more content. Project Cars 2, as I expressed in my review, features one of the purest simulation experiences ever. It also has a fair amount of extra content. Knowing these limitations, you would expect Polyphony Digital to have something in place as a compromise, for lack of a better word. One of the major aims of the game is to be the quintessential experience of eSports racing. Working towards this is a partnership with FIA, the governing body of motorsports. This partnership will actually allow you to earn an official FIA racing license, although you will have a fair few targets to meet. Sport mode is the competitive online mode that came from this partnership. Featuring what has been described as an advanced matchmaking system, your climb through the ranks will always be a challenge. Players will be matched on both their driver rating (ability on the track) and etiquette (sportsmanship). In addition to this, all cars within a race will be balanced to equalize performance and create parity. Your ability behind the wheel will be the key factor. Outside of the eSports specialization, there are a few extra features to be found within the game. Brand Central allows you to purchase the in-game cars based on brand, but also look at an extensive history of the particular brand. You can create your own livery and, with the new social features, shared with your friends and others. 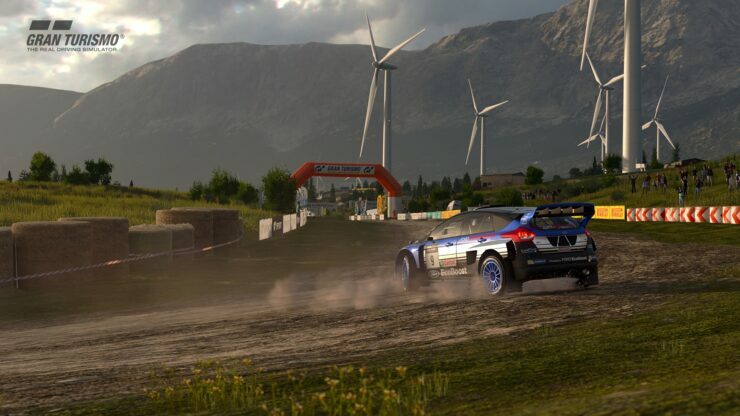 Then there is Scapes. This is essentially a supercharged photograph mode and it’s surprisingly impressive. 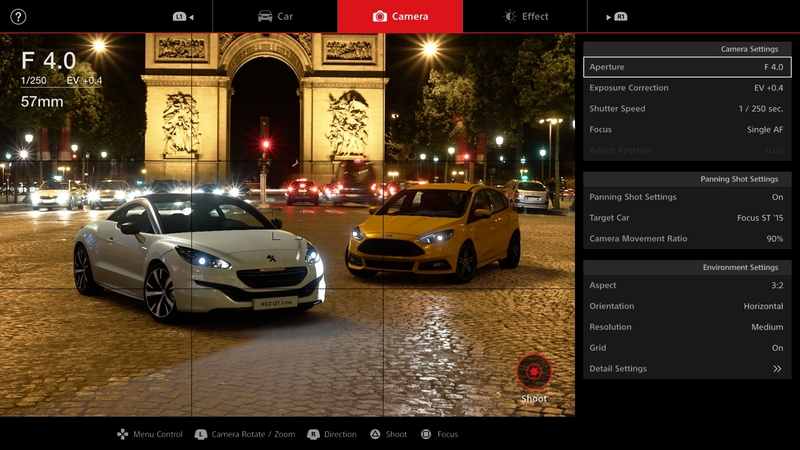 Using real world photographs with spatial and light source data inputted, you can actually place a car in the picture. From examples given in the past, you’d be more than forgiven for thinking it was a real picture. That’s because of the huge level of detail that’s gone into every car. In previous games, only a selection of cars was what they called Premium with the others being regular. Each and every car in Gran Turismo Sport are Premium. What this means is the level of detail that’s gone into each car have essentially made them futureproof, ready to be placed right into any future titles. The official line is that only the manufacturers CAD data is more precise than those in Gran Turismo Sport. It shows as well. Last year I had my reservations with certain visual elements, noticing some jagged edges here and there, as well as a few other minor issues. I was able to do six races during my time at EGX and I have zero complaints. Frankly, Gran Turismo Sport has the best looking cars in gaming today. I had nothing but praise for Project Cars 2 and I stand by what I said, though the level of detail found in GT Sport is astounding. One issue that has arisen, mostly due to the fact that I’ve played Project Cars 2, is that the tracks simply don’t look as good. There’s something that feels a little too artificial about them. I never noticed any dynamic changes throughout my races. The weather was stagnant and the tracks just seemed lifeless. Of course, my experience could have been as a result of the limited options available during the show and not indicative of the release version. This is a large contrast to the appearance of the tracks. There’s a great amount of detail gone into them, bringing the tracks and their surroundings to life. Everything from the crowds at the side of the track to the dirt that starts to pile up around the corners of rally tracks. Everything looks fantastic, though a strange thing to note is that it was all static. Only select things actually moved in the background. Honestly, it’s picky, but the only reason I noticed this was due to a flag waving at the same time as a tree, maybe ten meters away from it, was completely stationary. I couldn’t help but look for other examples then. What I was happy with was the other options available during the show. I was able to play it both using the wheel option and also on a controller. In addition to this, I juggled with the assists and other options available. My fears from last year of going full sim have now gone away. Arcade mode is an included game mode, with a good level of settings to cater the game to your needs. While I was racing on simulation, I went skidding around like a madman as I encountered the same issue I did with Project Cars 2. That issue is my driving. Once I adapted the settings to my needs I was right back into the Gran Turismo I’ve always known and loved. Everything felt fantastic with cars reacting realistically to your racing style but muted just enough for those who need the help. I found myself enjoying the time I spent with a game. It was actually a pleasant surprise as I was dreading a lack of arcade options in a game that was known for its accessibility. Coming out exclusively for the PlayStation 4 in just over two weeks, on October the 18th, it’s a long awaited outing for a legend of the racing genre. For now, you can check out some single player gameplay footage. If you’re inclined to pre-order the game, you may do so via Amazon. There might be an Open Beta coming soon where you’ll be able to make your decision, anyway.